The Oslo 2017 Homeless World Cup. Oslo 2017 Homeless World Cup is happening in the city centre right now. Here’s what you need to know. 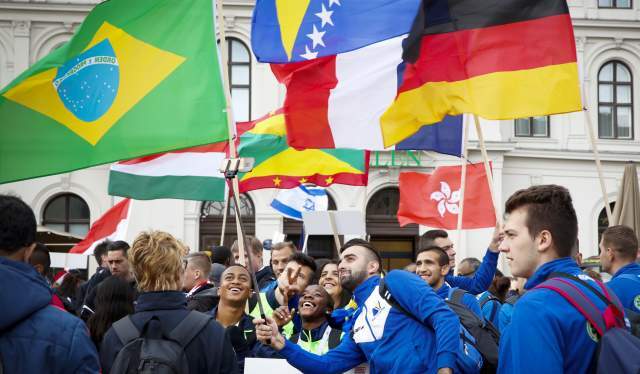 Every year, hundreds of football players gather to represent their country in an exhausting street fight. They have a troubled past in common, with homelessness and substance abuse among the common denominators. But during the Homeless World Cup the players get to shine like the stars they are, and at the same time prove a point about social inequality. 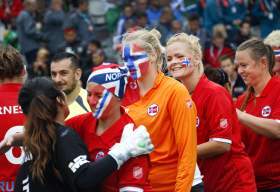 This week, the championship takes place at Rådhusplassen in Oslo, with finals on September 5th. Here are some snapshots from this year’s HWC so far – and a few facts that may come in handy. 1. The organization Homeless World Cup was founded by Mel Young and Harald Schmied in 2001. Two years later the first tournament was arranged in Ganz, Austria – with the home team coming out on top. 2. Since the beginning in 2003 the championship has been arranged in Cape Town, Rio De Janeiro, Glasgow and Gothenburg, to name some of the hosts. Finally, it’s Oslo’s turn. 3. The driving force behind Homeless World Cup is to advocate for a global solution to homelessness. 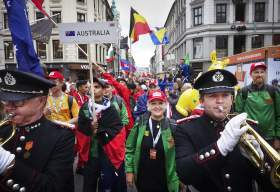 As the Norwegian arranger Frelsesarmeen (The Salvation Army) writes: “At Homeless World Cup the players get together fram all over the world and speak a common language – football”. 4. As a sport street football has its own particular rules and regulations. The matches last for 14 minutes and are played on mini-pitches measuring 22 x 16 metres. Only four players, among them one keeper, are allowed on the field. 5. For the pleasure of those who hate defensive football: Passing the ball back to the keeper is not allowed in street football. 6. The Norwegian Crown Prince and Princess are present during this year’s cup. 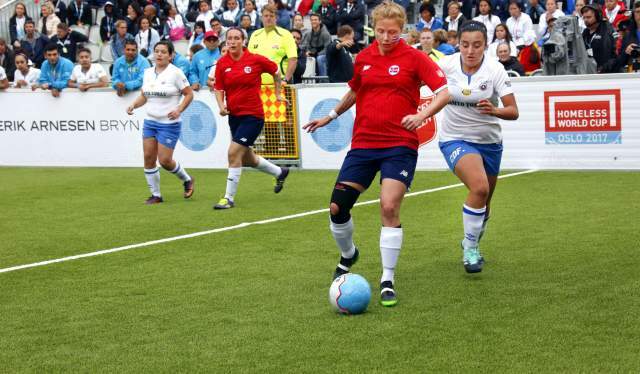 Crown Princess Mette-Marit even showed some serious football skills as she launched the arrangement. 7. Mexico are the current world champions. They won the two previous world cups – 6-1 against Brazil in Glasgow 2016, and 5-2 against Ukraine in Amsterdam the year before. 8. 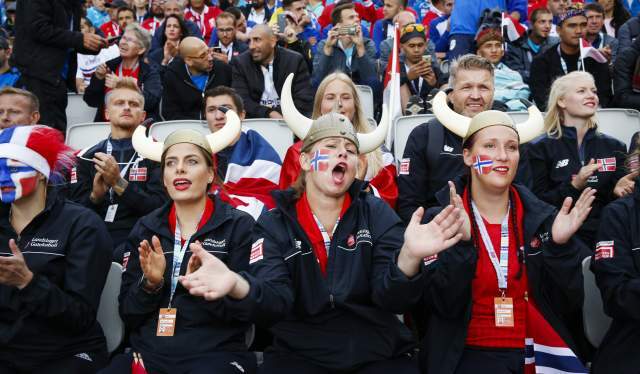 Norway took one heck of a beating in this year’s opening matches. The men’s team lost 3-6 to Brazil, while the women were crushed by Chile (1-10). It ain’t over ‘til it’s over, though. 9. Homeless World Cup offers a glimpse into football cultures not everyone may be familiar with. Indonesia is the leader of their group so far, and Hong Kong, Grenada and Cambodia will be worth keeping an eye on as well. 10. 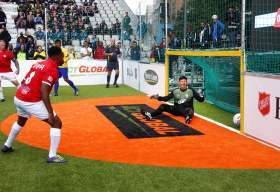 With more than 500 players from 50 nations, spread across 70 teams, Homeless World Cup is a bigger event than ever before. Night hikes up Gaustatoppen Mountain are attracting thousands of visitors.